The meaning of the term Dimorphodon is two-form tooth and it is pronounced as die-more-foe-don. 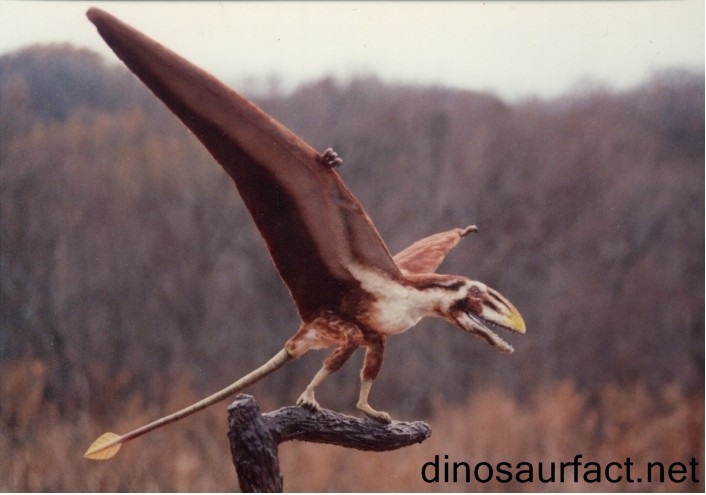 Dimorphodon belonged to the family of pterosaur and it had a wingspan of about 1.2m (i.e.) 4 feet long. It was a flying reptile that lived long ago. It had a beak resembling the beak of a modern day puffin. It had a big head with wide and deep toothed jaws, a diamond shaped flap of skin at the end of its pointed and long tail and a short neck. Its strange large head would have been an ingratiating behavior of this creature. It walks differently because of its legs, which were sprawled out at the sides. This appearance cannot be found in any other pterosaurs. From this different type of leg, it is evident that it would have spent most of its non-flying time hanging from branches of trees holding on with its claws of the toe like the modern day bats. 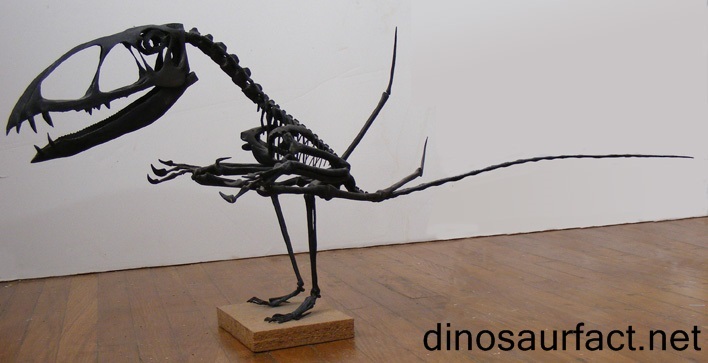 Dimorphodon is known to have lived around 165 million years ago. It was known to be a carnivore and it would have eaten fish. They would have been able to fly well with the help of their large and light-weight wings. It was able to stabilize in flight, with the help of its long and thin tail. Even though Dimorphodon is not a dinosaur, some researchers argue that, this type of pterosaur stance could have been upright and so they could be included in the dinosaur family. But, some argue that Dimorphodon are not dinosaurs, but all pterosaurs including Dimorphodon were closely related to dinosaurs. Actually, they are not dinosaurs. Dimorphodon was a tetrpod and vertebrate. It is also considered as diapsid since all reptiles fall under this diapsid category except birds and turtles since these two creatures are having two holes behind their eyes and two holes in the rear upper part of their skulls. 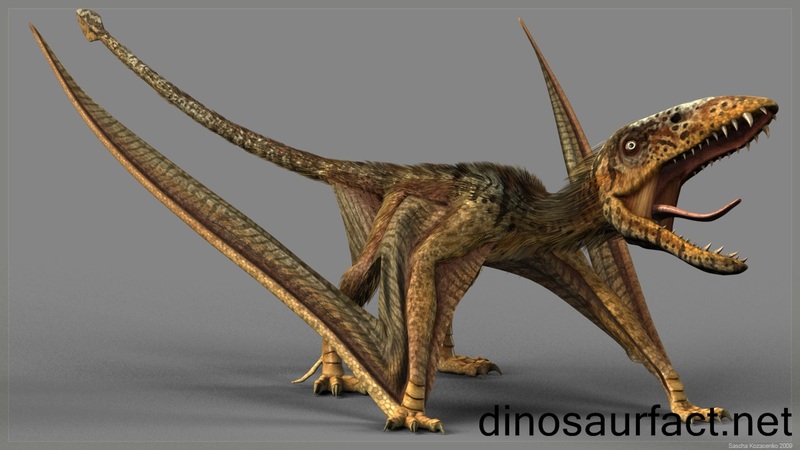 Dimorphodon are also classified as archosaurs and pterosaurs since they are flying reptiles. They were also classified as Rhamphorhynchoid since they had short necks, long tail and narrow and long wings. They would have flapped their wings to fly just like present modern birds. The fossils of Dimorphodon were found in the country of England and it was given this name by R. Owen in the year 1859. It is regarded to be lived in the shores of Central America and Europe . According to researchers, Dimorphodon would have got two types of tooth in its jaws shorter ones in the back and longer ones in the front. They assume that it would have used the front tooth to snag the fish and rear tooth for grinding them up. The skull of Dimorphodon had several wide openings and it had larger eyes. They had got well-developed limbs. 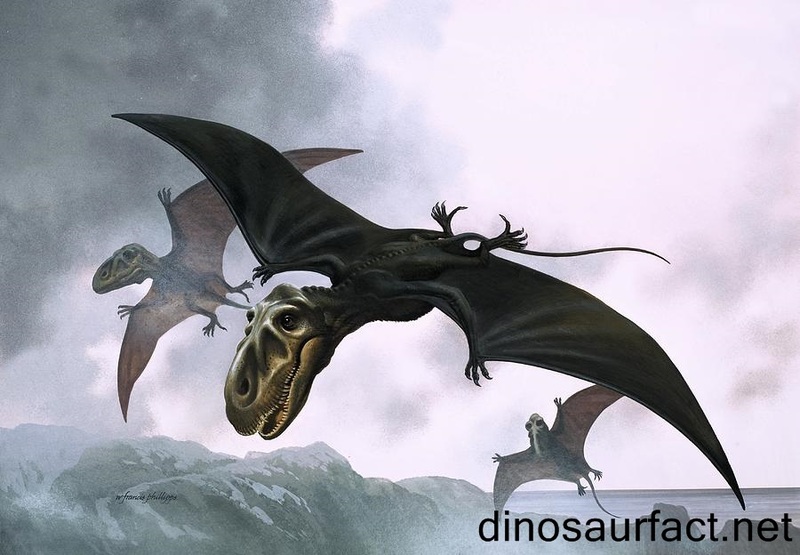 Each hand of the Dimorphodon was rearward to the hind limbs or to the hip and the wings consisted of thin membranes of skin stretching from the fourth finger of each hand. It would have probably used its first three fingers for grasping.